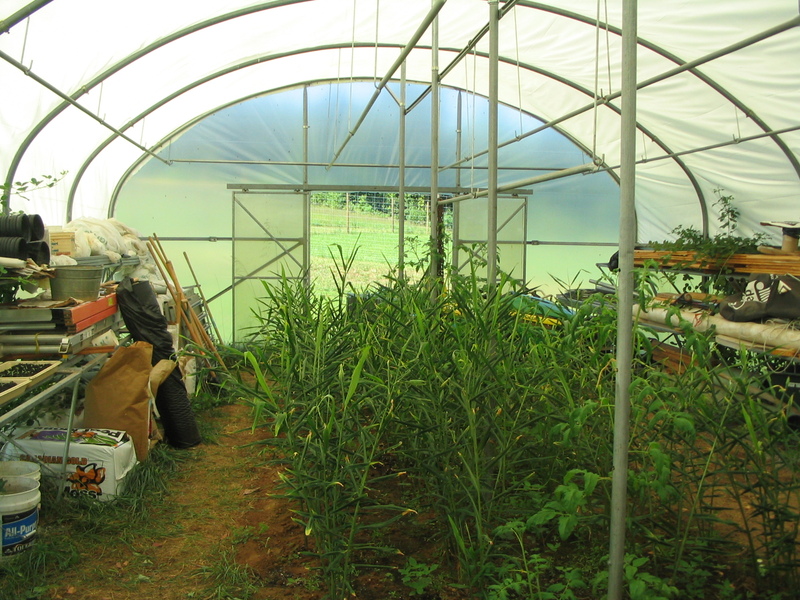 Other than a little wind and rain, we were lucky to escape the wrath of hurricane Irene here on the farm. 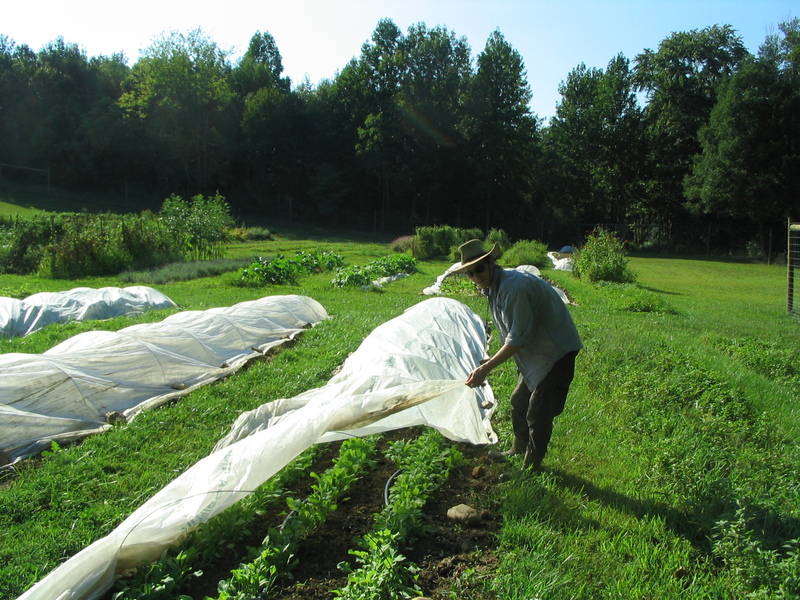 The wind blew off all the row covers, but none were damaged. And we got several inches of rain… which we needed anyway. Ginger update: the plants are about chest-high now! I have noticed that grasshoppers like to nibble on the leaves, so they look somewhat ragged: but this doesn’t seem to be impeding their growth too much. I guess we’ll find out once we start to dig them up in a few weeks. It’s the time of year when greens grow beautifully. 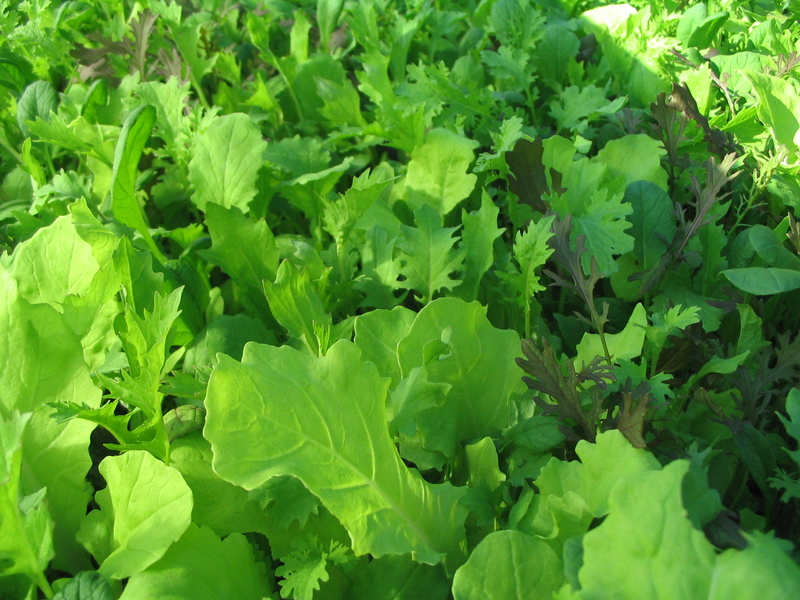 We have plenty for salad mix, but none for cooking greens yet. The grasshoppers hanging out in the greenhouse ate a lot of our broccoli and kale transplants, so we may not have much of those this fall, unfortunately. 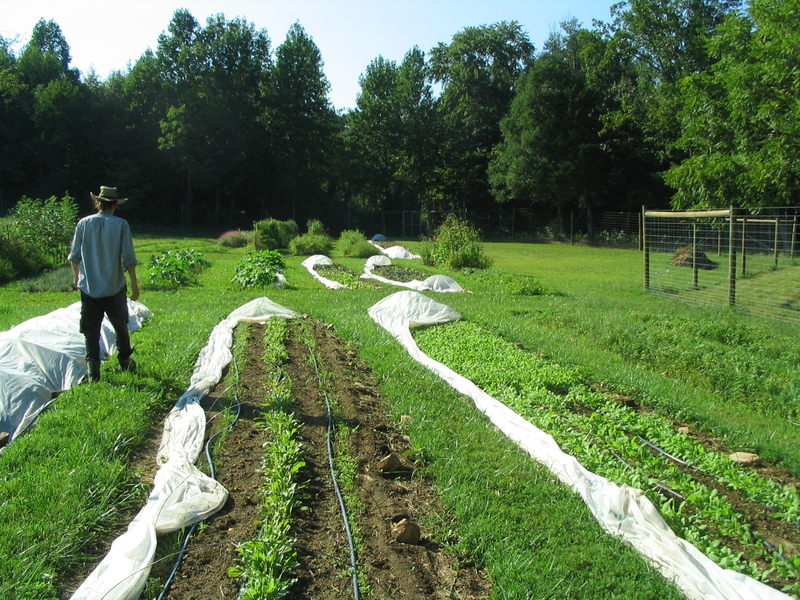 We will have to figure out a way to grasshopper-proof the trays sometime (maybe just use some fine netting draped over?). 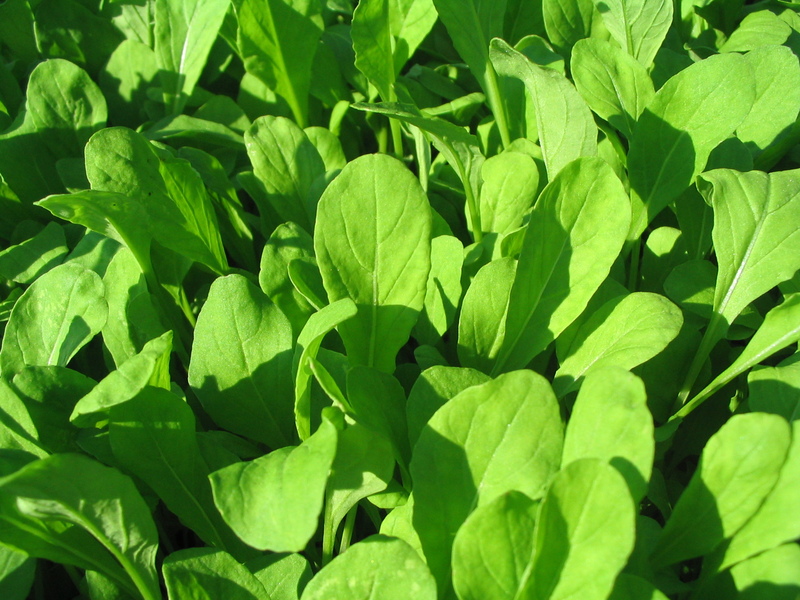 Arugula, yum! People tend to love it or hate it. I am one of the former. 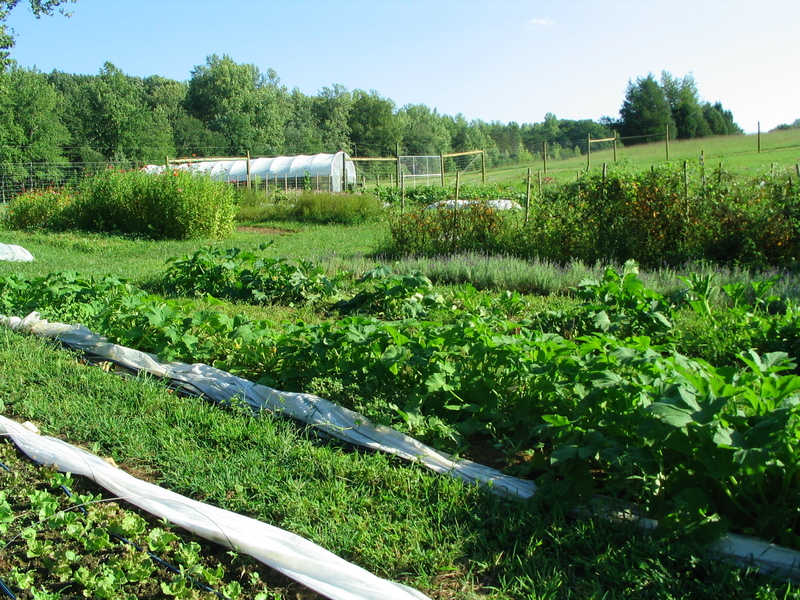 At market this Saturday: lots of green beans, pole beans, and salad mix! A last succession of squash and zucchini is starting to come in. Lots of potatoes. Summer veggies are dwindling. A few garden bouquets, and fresh-cut herbs. Some salad turnips and radishes also.